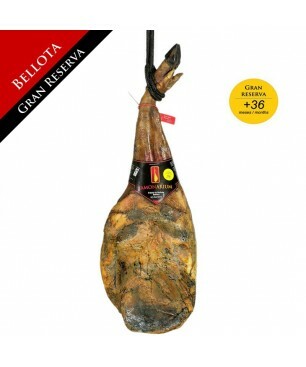 Iberischer Bellota Eichel-Vorderschinken "Gran Reserva"
Es handelt sich um Iberico Freilandschweine die von den Schinkenmeistern die beste Behandlung bekommen, diese Schweine ernähren sich von Gräsern, Kräutern und Korkeicheln. Während die Letzten Monate seines lebens werden diese Schweine vom Züchter begleitet, der dafür sorgt dass die Schweine die genügend Korkeicheln essen (auf spanisch kennt man dies als Montanera), nur so erreichen die Eichelschinken die nötige Qualität die von ein “Pata Negra” erwartet wird. Diese Vorderschinken wiegen ca. 6Kg, und werden 100% von Hand gefertigt, die Verarbeitung folgt traditionelle Methoden mit einem natürlichen Reifungsprozess von über 34 Monate Reifezeit. Stefanie H. auf 14.01.2019 Top! 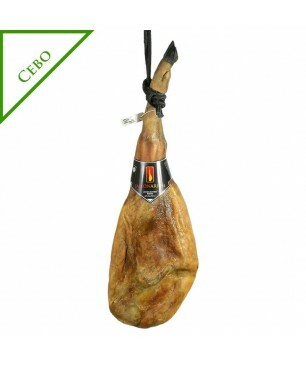 FABIA T. auf 09.01.2019 Le jambon est délicieux, pas trop salé et bon rapport gras/maigre. On hésite un peu à cause du prix mais on n'est pas déçu du tout. Bastian F. auf 31.12.2018 Last time the Jamon was better, this time a lot of white and hard pieces in the red meat. Valentine B. auf 10.01.2018 Delicious ham, it was the perfect Christmas gift. 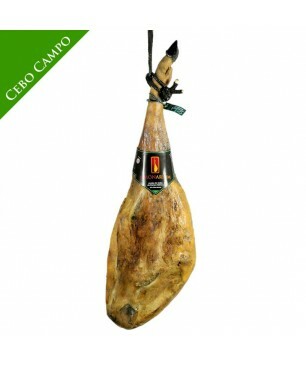 The Jamonarium team is very kind and reliable. Highly recommended. Louisa P. auf 21.07.2017 Very worthwhile buy, deliciously tasty ham, worth the money. Thank you! Brotzer A. auf 13.05.2017 Wir sind sehr zufrieden mit diesem ausgewogenem und leckeren Vorderschinken. 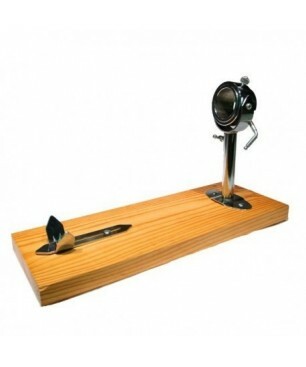 Alfred R. auf 09.01.2014 Excellent, Great to buy from. Michel A. auf 26.12.2013 Bonjour, Nous avons bien reçu le jambon dans les temps, il est excellent! Merci encore. Julien. Barry D. auf 20.11.2013 I couldn't be more pleased with my order. 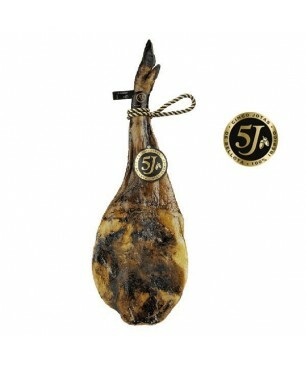 I purchased the Iberian Bellota Spanish pata negra shoulder ham" and the quality and flavour of this particular shoulder. 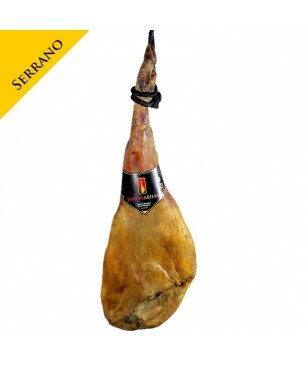 I have been a lover of Spanish pata negra ham for many years and this is an outstanding example with a wonderfully smooth texture and rich savoury taste. 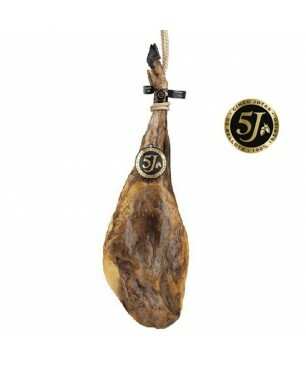 I will definitely be ordering another shoulder from Jamonarium when the time comes around again.The service I received from Jamonarium was first class, their communications right from ordering, through postage, to delivery was excellent. 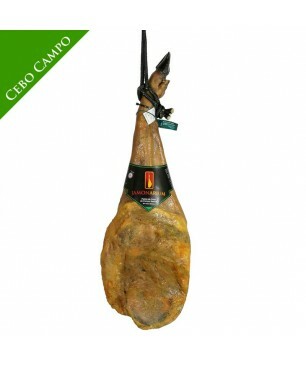 I had checked out many other web sites offering similar products before I ordered from Jamonarium and I chose them based on their exceptional value for money in comparison to others. I was certainly not disappointed with my choice and would have no hesitation in recommending Jamonarium to others." 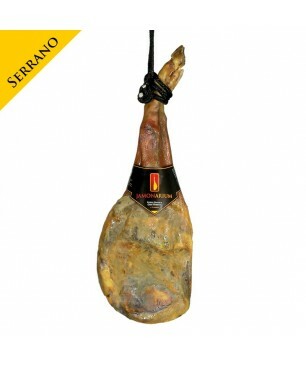 Sonia M. auf 20.11.2013 Llevo viviendo fuera de España hace 10 años y echaba de menos comer un jamón entero en casa, pero no me atrevía a comprarlo por internet. 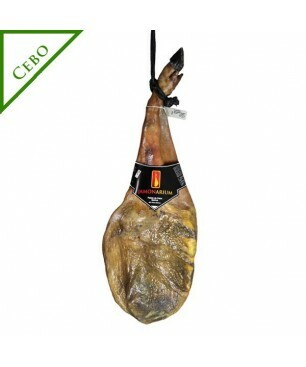 Finalmente, me decidí por Jamonarium por su completa web y esto degustando un jamón delicioso. 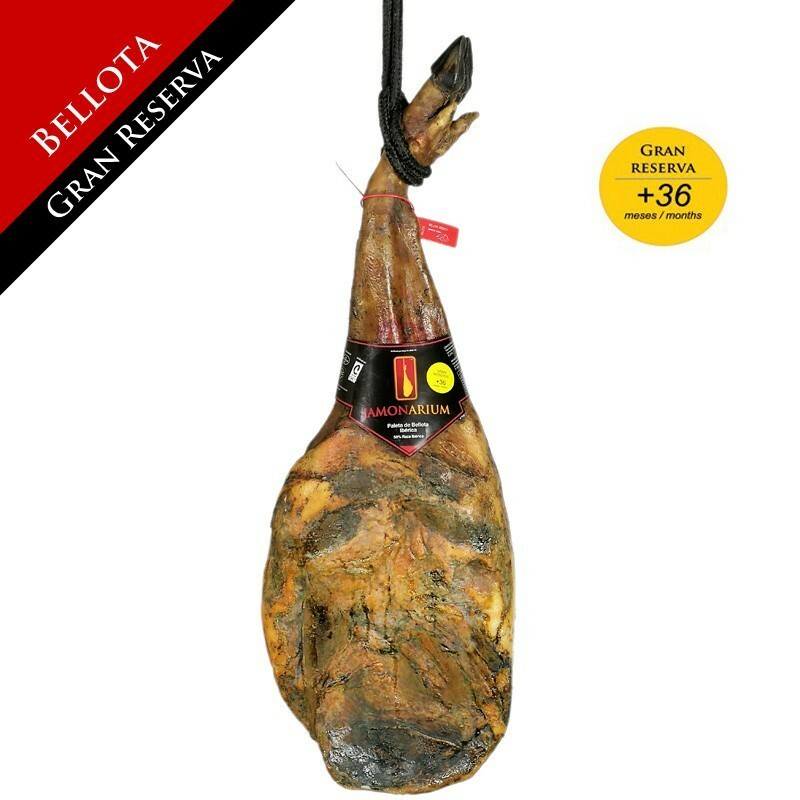 Volveré a comprar más productos.La web es muy completa y disipa todas las posibles dudas de los productos, los videos para cortar jamón son muy instructivos.